The William Mills Prize for Non-Fiction Polar Books was established in memory of William Mills, a polar librarian and author, and a core member of Polar Libraries Colloquy during its formative years. The prize was first awarded in 2006. The book prize honours the best Arctic or Antarctic nonfiction books published throughout the world. The prize consists of $500 US*, certificates for the author and publisher, and the right to use the William Mills Prize logo when advertising the winning book. Winning titles are announced on pollib-L, on the Colloquy web site, in the Polar Libraries Bulletin and other appropriate social media, websites and publications. The book must be nonfiction, about the Arctic or Antarctic. The book may be any type of substantive work of nonfiction, or reference resource. Textbooks, anthologies, translations and new editions will not be considered unless they are truly outstanding contributions to polar literature. Books authored, edited or published by members of the current Polar Libraries Colloquy Steering Committee are not eligible for nomination. 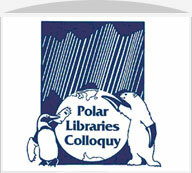 Individuals who are not affiliated with the Polar Libraries Colloquy are welcome to submit nominations. The book must have been published for the first time within the two calendar years before the Colloquy at which the award will be given.The timeframe for the 2020 award is January 2018 to December 2019. The official language of the Colloquy is English. For this reason books must be published in an English language version to be eligible. For more information, please contact the William Mills Prize Coordinator, Julia Finn. *The prize was increased from $300 US for 2018. Statement of the reasons why the nominator thinks the book should be considered for the prize and the value of the title to polar literature. Nominations should be sent via email to Julia Finn, William Mills Prize Coordinator. The deadline to submit a nomination is March 31, 2020.